Ontario Ovation Twirlers are proud to promote the sport of baton twirling as a fun, unique and challenging alternative to traditional sports. The sport incorporates a wide variety of skills such as hand/eye coordination, dance techniques and choreography. Students who participate in this fun sport will benefit from the discipline twirling requires while building confidence and self-esteem in a team oriented environment. The Ontario Ovation Twirlers are proud to promote the sport of baton twirling to youths ages 5-18 that are interested in learning a challenging and alternative sport. The team was founded in April of 2011 under the direction of Coach, Catherine Ross and Team Manager, Melinda Ross. Catherine, AKA "Coach Cat" has years of experience in the world of baton twirling. She began twirling at the age of 7 through the Ontario Christian Elementary School baton program. Within a few years, she joined the renowned Fantasia Baton Twirlers under the direction of Debbie Salem. She became a competitive twirler, while still twirling for her school's program. During her high school years, Coach Cat became a Varsity Majorette for Ontario Christian High School. In her senior year, she became a feature twirler that would twirl 2-baton, fire baton, glow baton and single baton at football games, basketball games and school rallies. In addition, she accompanied the OCHS Varsity Cheerleading Squad to USA Nationals and twirled alongside them in sideline performances. Coach Cat recently graduated from the University of California Irvine in June 2014 with TWO degrees of B.S. in Biological Sciences and B.A. in Psychology with emphasis on Cognitive Sciences. She hopes to pursue a career in Biological Research and continue twirling with her students! 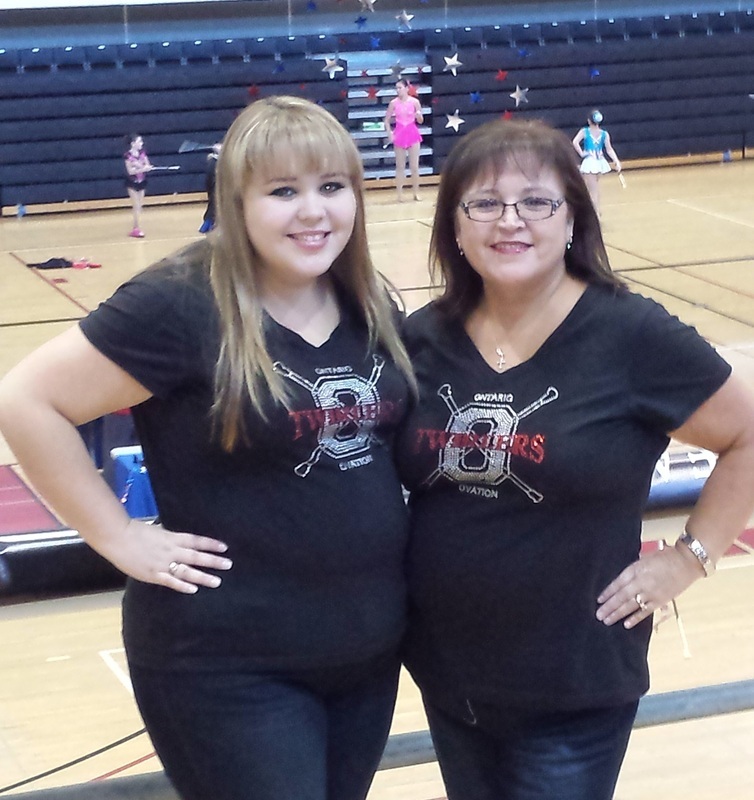 Coach Cat & Melinda are very excited to welcome you to the Ontario Ovation Twirlers and look forward to seeing future generations of twirlers continue in this beautiful sport.